How do you put a fresh and interesting spin on some old jazz favorites? If your Antonio Adolfo, the Brazilian pianist and composer, you take some of your own personal material and add some favorite songs from jazz masters like John Coltrane, Chick Corea, Bill Evans, Dizzy Gillespie and Keith Jarrett and you infuse them with your own Brazilian imprimatur-the result is Adolfo's latest release Finas Misturas. Reworkings of recognized standards that are strongly associated with their composer/performers can be a tricky business. Successful re-imagining of songs like John Coltrane's "Naima" or Chick Corea's "Crystal Silence" require both a thorough understanding of the original material and the conviction that you can create something new and complimentary to the original recording. Adolfo uses his understanding and appreciation of the jazz tradition and incorporates the multi-faceted elements that make up Brazilian music to create this alive and sensuously appealing album. Antonio Adolfo is an Brazilian musician and educator who started his own school in 1985 in Rio De Janeiro. He continues to perform, arrange and produce music in his native country and internationally. During his career he has worked with artists of stature including Sergio Mendes, Dionne Warwick and Stevie Wonder to name a few. In the album's liner notes Antonio refers to some of the elements that he has incorporated into his treatments of what are for the most part jazz standards. On his own opening number the "Florestra Azul," literally Blue Forest, but also a reference to a town by the same name in the Bahia Northeastern region of Brazil, Adolfo uses the sumptuous flute of Marcelo Martins, a warm-toned probing double bass solo by Jorge Helder, along with his own Bahia influenced piano phrasing steeped in a definitive blues sensibility to create music that transcends category. Another Adolfo Composition titled "Balada" is in the style of the Brazilian Toada, with its soft guitar strums by Claudio Spiewak and some rolling drum accents by Rafael Barata, the music is romantic, sensitive and intoxicating. On John Coltrane's seminal "Giant Steps" Adolfo uses another Northeastern Brazilian form, Quadrilha, which has a relentless driving four beat rhythm. The music takes on a Rio Carnival-inspired, dance-like quality that may offend some purists. The treatment has its own appeal, revealing how songs like this continue to inspire the multi-cultural possibilities from musicians throughout the world. Dizzy Gillespie's "Con Alma" is given a airy Bossa treatment that is striped of almost all of its be-bop heritage. Guitar solos by Leo Amudeo and Claudio Spiewak and a brief saxophone solo by Martins are featured over the Bossa beat. Some plangent piano by Adolfo at the coda is played with a polish and heartfelt sincerity that is nothing short of beautiful. "Misturando" or "mixing" in Portuguese, is an Adolfo composition and perhaps the most freely played number on the album. The song's moving spirit permeates the performances of the musicians, you can hear them moan faintly in the background enthusiastically nudging each other on as they perform. The group weaves in and around each other effortlessly, like a flock of birds tracking each others motion precisely, telepathically in flight. This "mixing" includes a stirringly fluid guitar solo by Leo Amuedo and an ascending build up by Adolfo on piano that culminates in a battery of sounds from Barata's drum kit. Keith Jarrett's "Memories of Tomorrow" finds Adolfo performing a duet with Anudeo's electric guitar in the medium to slow tempo of the Brazilian style known as Toada. Amudeo's accomplished playing is filled with sensitive and creative phrasing that converses magically with Adolfo's teasing piano lines. Perhaps the most fetching of the recreations on this album is Antonio Adolfo's re-imagination of John Coltrane's gorgeous ballad to his wife "Naima." Adolfo creates a purely Brazilian take on this one. He uses the emotionally charged song to employ Marcelo Martin's hauntingly effective flute ( some of the best flute work I have heard recently) over the backing of his own piano lines and his empathetic rhythm section of Amudeo, Helder and Barata. Rafael Barata's insertion of well timed percussive accents is particularly effective. Adolfo's "Tres Meninos" or Three Little Boys is a delightful combination of styles that include elements of Baiao, Samba and Calango. The group has a tightness that seamlessly allows them to move through changes that could be challenging to musicians who were less familiar with each other. On Chick Corea and Neville Potter's lingering "Crystal Silence" Adolfo effectively uses Marcelo Martins' warm, almost woody sounding flute to carry the melody and create a different take on this song. The maestro arranges the piece in such a way that delicately intertwines Claudio Spewak's tasty Spanish influenced acoustic guitar into the Bossa mix. The closing song is Bill Evans' "Time Remembered," which is transformed into a multi-layered piece by Adolfo's arrangement of Martin's wind swept flute played in tandem with his own piano lines. With a delicate touch that mimics Evans at times, Adolfo takes his most beautiful of piano solos, made all the more interesting by the dynamism of Helder's warm bass lines and Barata's controlled bombastic coloration. When Martins re-enters the song, his flute solo is an eruption of tones and sounds that breathe sensuality and passion into each note he plays. 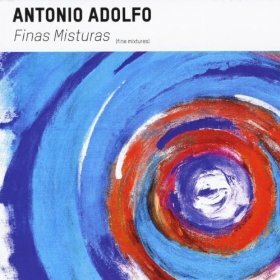 Antonio Adolfo's Finas Misturas is true to its title, a fine mixture, a fusion of Brazilian sensibilities and rhythmic styles with jazz. A thoroughly enjoyable album that should not be missed by anyone that likes fine music. I first heard Jonathan Kreisberg when I was sent a copy of his fine 2011 release Shadowless, which I ultimately included in my list of the best of jazz that I had reviewed in that year. Then working with a quintet that included Henry Hey on piano, Will Vinson on saxophone, Matt Penman on bass and Mark Ferber on drums, the group cooked. Spurred on by Kreisberg's taught and polished guitar lines, his group impressed me with their distinctive, modern sound. I subsequently found out that Kreisberg was originally a native New Yorker who spent his formative musical years in his adoptive home of Miami, Florida. He eventually returned to New York City in 1997, deciding to pursue a career in jazz, and since then has lent his creative talents to the efforts of some of the jazz world's most contemporary artists. 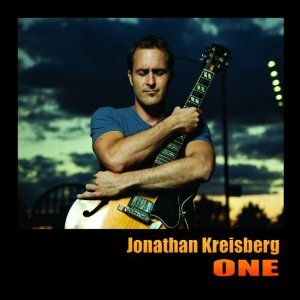 On his latest release One, Kreisberg sheds the protection of the group format and goes netless playing solo. Kreisberg continues to impress with his deft choice of material to explore and his clean, creative execution of these chosen and treasured gems. I was predisposed to like this album upon hearing the opening lines of "Canto de Ossanha" . Baden Powell de Aquino was an extraordinary guitar player from Brazil who I was turned onto back in the early seventies by an astute friend of mine named Butch ( his last name now apologetically escapes me). Butch an I would mine the stacks of cutout records, randomly strewn all over a used record store on downtown seventh avenue in NYC. It was hearing Powell that pointed me in a new and completely different direction of appreciation for the variations and delicacies that could be created on the guitar. Powell played a nylon string guitar and could create cascades of sounds with his various picking techniques. I poured over his Tristeza on Guitar and his Canto on Guitar among others and replayed them over and over. One of my favorite Powell pieces was his lovely "Canto de Ossanha." Kreisberg's treatment of this classic is beautifully rhythmic and delicately subdued. While certainly there is no replacement of the master's timeless work, this is a faithful homage to Powell's breezily swaying guitar lines. t Kreisberg demonstrates a respect for the heritage and a mastery of the challenging technique required to play in the self accompanied manner that Powell made famous and that master Joe Pass took to another level on his own solo album Virtuoso. Kresiberg's take on Gershwin's seemingly never stale "Summertime" has a modern approach that allows the guitarist to explore the lingering melody without veering too far off course from its core. Hoagy Carmichael's "Skylark" is a brilliant piece of music that is played with great affection and some explorations that show Kreisberg has spent many an hour with this little gem. Juan Tizol's "Caravan", often an orchestral vehicle, is one of two songs which Kreisberg's chooses to use a new Indian Hill guitar, as manufactured by Montreal based luthier Michael Kennedy. This smaller bodied guitar is particularly suited to a finger picking style and Kreisberg utilizes it to great effect, strumming the ostinato rhythm while deftly picking at Tizol's exotic melody. His fleet single lines runs are clean, crisp and interesting. His approach at the coda is unique. On the Gross and Lawrence standard "Tenderly," Kreisberg, with a great sense of quiet sincerity, offers a brief but poignant take on this pretty ballad. Simply beautiful. On Richard Rodgers " My Favorite Things"
the guitarist plays effective counterpoint to himself. As with most of the songs on this album, the explorations Kreisberg favors are not audacious excursions into the unknown, but more like gentle probings along the outer edges of the familiar melodies. His choice of material is superb, a familiarity with good quality music that has no genre boundaries. Take his subdued but effective picking of Leonard Cohen's solemn "Hallelujah." Kresiberg's delicate finger picking, again on his Indian Hill guitar, injects just the right amount of reverence and joy in his playing. A homage as much to Jeff Buckley as to Cohen's work. The tone is warm yet bright. Wayne Shorter is a contemporary composer of extraordinary depth. Kreisberg initially takes Shorter's "E.S.P." down a flamenco inspired road, running exquisite arpeggios along the way. He quickly shifts to a Brazilian bossa-style, ala Baden Powell. Kresiberg shows how versatile his playing can be, effortlessly changing styles seamlessly as his muse beckons. The Jimmy Van Heusen/ Johnny Mercer tune titled "I Thought About You" completes the guitarist's explorations of standards, letting some of his blues sensibilities briefly seep into his playing on this otherwise traditional rendering. Kresiberg's beautiful electric guitar work has impressed me with its fluidity and creativity especially on his brilliant Shadowless. I am puzzled, however, by his inclusion of two of his own compositions on this album. Kreisberg's one minute and twenty-two second composition "Without Shadow" is an electronic, loop-like piece that seems to have some reference to his previously recorded "Shadowless." His ending piece "Escape From Lower Formant Shift", with its organ sounding ,electronically altered guitar that morphs into an eerie renegade, harpsichord sound is also miscast for this performance. While certainly interesting in their own right , both compositions seem oddly out of place in the context of the rest of this generally acoustic album that stands well enough on its own sans their inclusion.